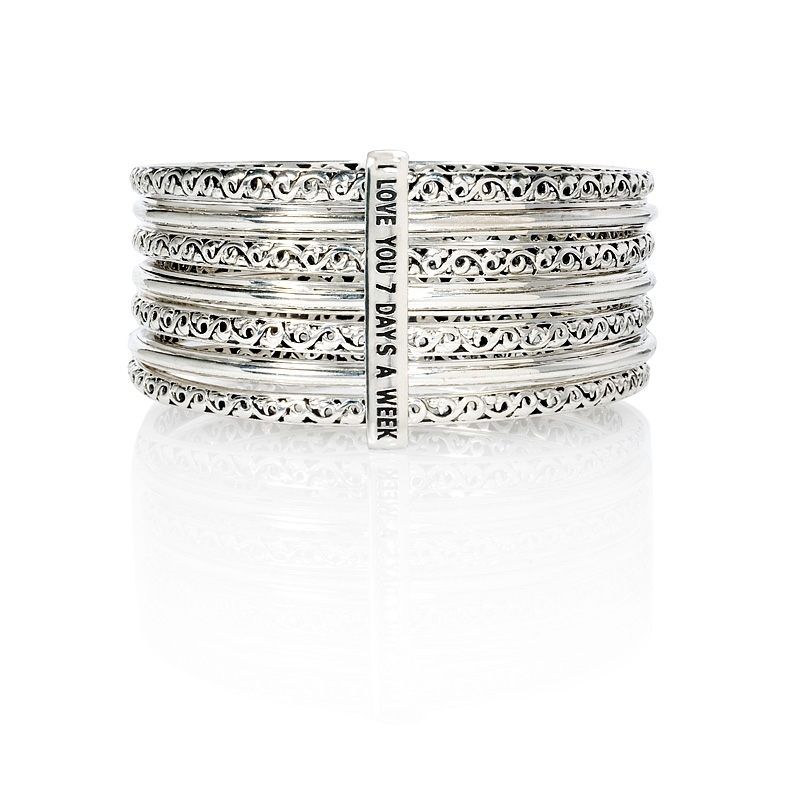 Bangle Details: 7 Unique bracelets linked together as one by a clasp with the "I Love You 7 Days A Week" inscription. 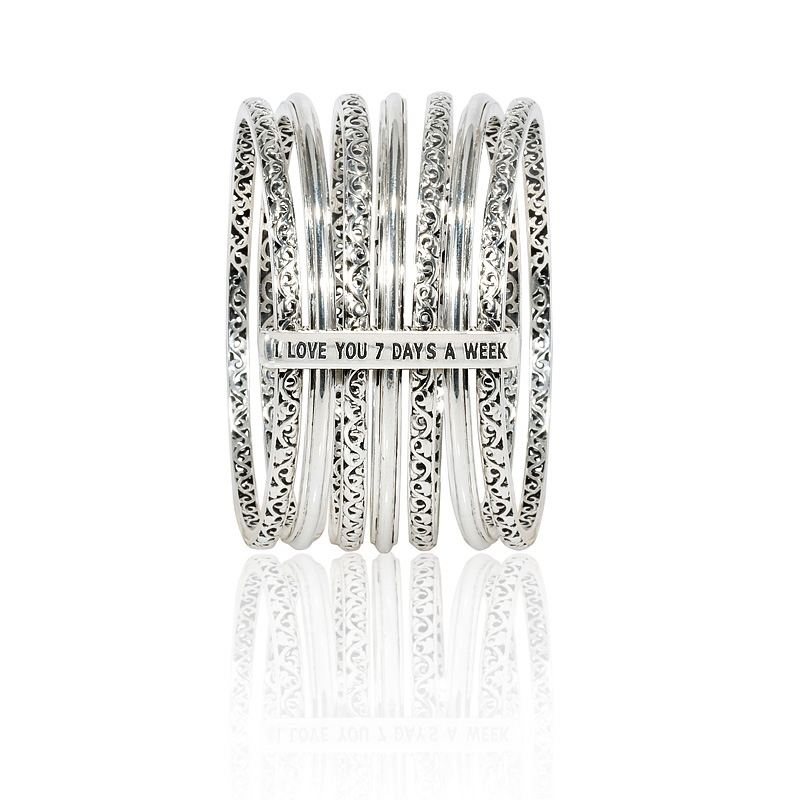 Bangle Design: Charles Krypell sterling silver design. 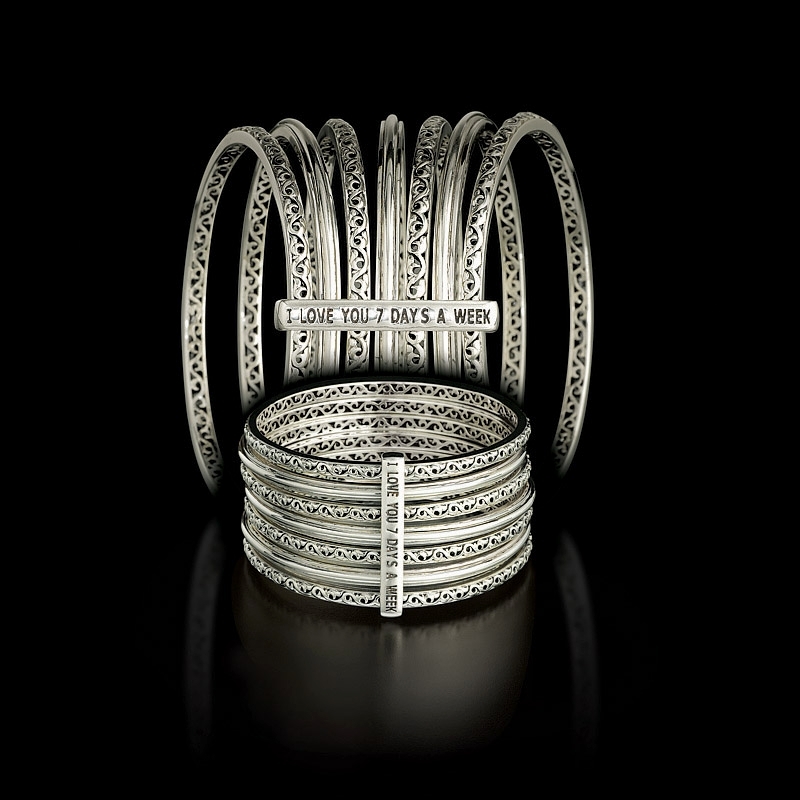 This beautiful Charles Krypell sterling silver bangle bracelet from the Sterling Silver collection, features 7 unique bracelets held together as one by a clasp with the "I Love You 7 Days A Week" inscription. A powerful message and unique design makes it an ideal valentine's day, mother's day or holiday gift. This bangle bracelet measures 1.5 inches wide.